Nelson is one of America’s most promising young tenors. 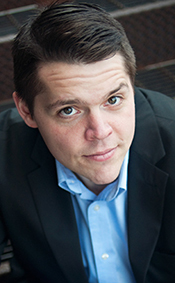 Already enjoying success in a wide variety of concert repertoire, his recent engagements have included performance of the Britten Serenade with the Utah Valley Symphony, Beethoven’s Ninth Symphony with the Saginaw Bay Symphony, Mozart’s Requiem and Bach’s St. John Passion with Salt Lake City Choral Artists, and Orff’s Carmina Burana with the California and Reno Symphonies. He also has appeared as a soloist on the stages of the Kennedy Center and at Carnegie Hall. A highly versatile performer, the Costa Rica-born Sibaja is equally comfortable in classical, Latin, jazz and pop music. His career has ranged from international appearances as an orchestral soloist with Orquesta Sinfonica Venezuela and Orquesta Sinfonica de Costa Rica to performing with Ricky Martin on the Vuelve and Living la Vida Loca international concert tours. 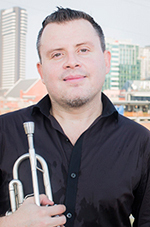 He has served as principal/co-principal trumpet of the Orquesta Sinfónica Venezuela, Sinfonieta de Caracas, the Miami Symphony Orchestra, the West Palm Beach Symphony and the Florida Grand Opera, and he has been lead trumpet of the Boston Brass since 2006. Anoll’s research concentrates on understanding and explaining the political behavior of Americans, with a special focus on racial and ethnic minorities. Her current book project explores variations in political participation across race in the United States and the explanatory connection to racial segregation and social norms. An additional paper considers the effects of felony disenfranchisement policies on participation in communities of color, while another line of work explains the strategic mobilization choices of political candidates and campaigns. 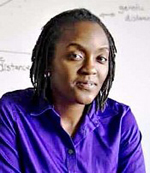 Anoll’s interest in participation, representation and mass incarceration inform her teaching. She has taught at prisons and rehabilitation centers across the United States and teaches courses on American politics, police and prisons, and political participation. Benn Torres is a molecular anthropologist who examines population genetic history and variation of African Caribbean populations. She has explored the biogeographical ancestry of several communities throughout the English-speaking Caribbean, including the islands of Dominica, Trinidad, St. Vincent, Grenada, St. Kitts and St. Lucia. She identified West African origins and examined the role of admixture in the formation of contemporary African Caribbean populations. She will expand this line of research to other populations of African descent in the Caribbean and South America. A second area of Benn Torres’ research combines molecular anthropology with molecular epidemiology in order to understand how genetic ancestry and variation may influence the distribution of diseases across populations. This work focuses primarily on women’s health disparities. Bennett is the author of Banning Queer Blood: Rhetorics of Citizenship, Contagion, and Resistance, which scrutinizes the federal donor deferral policy limiting queer men’s ability to donate blood. He is currently working on a book-length project that explores the rhetoric of diabetes management. He specializes in critical studies of health and medicine, citizenship, LGBT/queer studies, cultural studies, and rhetorical theory and criticism. Bryen is an historian of the ancient Roman world. His interests in ancient legal documents have led him to ask about the role of law and courts in day-to-day life in Rome’s provinces, and in imperial encounters in general. 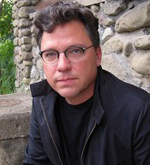 Working with ancient documents has also given him an interest in historical methodology that is in the array of humanistic and social-scientific reading techniques for extracting new answers and questions from old, fragmentary and occasionally intractable bits of ancient trash. His first book, Violence in Roman Egypt (2013), was a study of petitions from Roman-period Egypt, some of our only extant nonelite narratives from the ancient world. Bryen has held fellowships from the Institute for the Study of the Ancient World at New York University, the American Council for Learned Societies, and the Institute for Advanced Study. He came to Vanderbilt after teaching at Georgetown, Berkeley and West Virginia University. Buchanan’s research goals focus on the use of innovative spectroscopies to prove and understand systems at the interface of biology and nanotechnology. She has won numerous awards, including the National Science Foundation Graduate Research Fellow (2009-12) and Outstanding Chemistry Teaching Award (University of Wisconsin, 2009). Byrd is an intellectual historian of the 19th- and 20th-century United States, with specializations in African American history and the African diaspora. His research interests include black internationalism and black nationalist movements. Of particular emphasis are intellectual and cultural encounters between African Americans and Haitians. He is currently completing his first book, An Experiment in Self-Government: Haiti in the African-American Political Imagination, 1863-1915 (forthcoming, University of Pennsylvania Press). That project recovers the overlooked history of Haiti in the postemancipation black intellectual tradition. Byrd currently blogs for the African American Intellectual History Society and serves on its executive committee as the 2017 AAIHS Conference Committee chair. Moreover, he is a book review editor at H-Nationalism.org. Cowie is a social and political historian whose research and teaching focus on how class, inequality and work shape American capitalism, politics and culture. Prior to coming to Vanderbilt in spring 2016, Cowie taught at Cornell University for 18 years, where he also served as chair of the Department of Labor Relations, Law and History in the Industrial and Labor Relations School. For four years he lived on the Cornell campus with his family as the inaugural house professor and dean of William Keeton House, a living-and-learning community of 300 students. A passionate and dedicated educator, Cowie has garnered a number of teaching awards during his career. 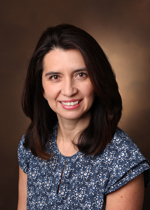 Creanza comes to Vanderbilt from Stanford University, where she was a postdoctoral student in the Department of Biology. Her specializations are in the evolution of learned behaviors, computational studies of genetic and cultural data, mathematical modeling, and phylogenetic comparative analyses. Creanza’s research merges computational and theoretical approaches to the comparison of cultural and genetic evolution in multiple systems, particularly human language and birdsong. Goodman-Bacon’s research focuses on the health and social policy reforms of Lyndon Johnson’s Great Society. 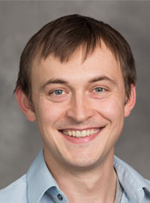 His work combines historical data collection methods with econometric program evaluation techniques to provide new evidence on the effects of these policy changes on health and labor market outcomes. He has studied the expansion of federally funded Community Health Centers in the 1960s, the short-run mortality effects of the original introduction of Medicaid, and its longer-run consequences for health and productivity of affected children. His current projects seek to collect new information on the history of cash transfer programs in the United States and to understand the determinants and the effects of participation in these programs throughout the 20th century. Gurrola’s current research activities are largely with the Large Hadron Collider (LHC) and the Compact Muon Solenoid experiment, where he attempts to further the understanding of the smallest building blocks and forces fundamental to understand the world around us. His projects focus on searches for Higgs Bosons, super symmetry, dark matter, extra dimensions and other new physics beyond the standard model of particle physics. In addition to various high-energy experimental physics journal publications, Gurrola has written various phenomenology papers to propose new experimental searches and measures at the LHC. 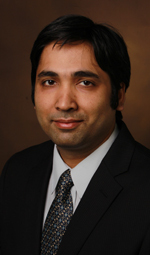 Gurrola served as a research assistant professor at Vanderbilt prior to his appointment as an assistant professor. Herculano-Houzel is rapidly becoming the most outstanding comparative neuroscientist of our time. Her breakthrough science started with her discovery of a rapid method for determining the numbers of neurons and non-neurons (mainly glia) in any brain or piece of brain tissue—a method she called the “isotropic fractionato.” The method is simpler, faster and more reliable than any previous methods. In her hands (and those of others who are now using it), this method has produced a remarkable series of discoveries in the past 10 years. Her team was able to come up with—for the first time—an accurate prediction of the number of neurons in the human brain. Her paper in the Journal of Comparative Neurology remains the most-cited paper for that journal. She recently published The Human Advantage: A New Understanding of How Our Brain Became Remarkable (MIT Press, 2016). 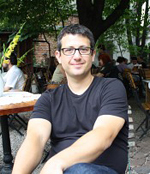 Lupu’s research interests include comparative political behavior, representation, Latin American politics, political parties and partisanship, and class and inequality. His research examines how contexts condition mass attitudes and behavior, and how these and other factors shape democratic representation. His research has appeared in American Journal of Political Science, American Political Science Review, Comparative Political Studies, Journal of Politics and World Politics, among others. Before joining Vanderbilt’s Department of Political Science, he was an assistant professor at the University of Wisconsin–Madison. Polborn is an extraordinarily prolific scholar in the area of political economy. His work has appeared in the American Economic Review and in the Review of Economic Studies, both top-five journals in the field of economics. He also has published in the American Political Science Review, the Journal of Politics, and the American Journal of Political Science, three prestigious and highly selective political science journals. Polborn comes to Vanderbilt from the University of Illinois at Urbana-Champaign, where he was a tenured professor. 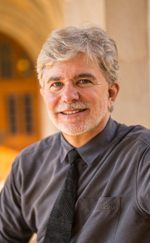 Price specializes in the history of the Renaissance and Reformation. He has written or edited some 10 books on a variety of topics, including early modern theater, neo-Latin poetry, Renaissance visual art, the English Bible, and the history of Christian-Jewish relations. He served as a professor at Yale University, the University of Texas at Austin, Southern Methodist University and the University of Illinois at Urbana-Champaign, before joining the Vanderbilt faculty. 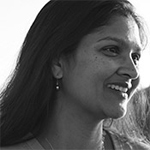 Saxena’s areas of research and teaching are 20th- and 21st-century Anglophone world literature (with a focus on South Asia), South Asian film and media, critical translation studies, postcolonial studies, and modern Hindi and Urdu literatures. Thachil’s research focuses on political parties and political behavior, social movements, ethnic politics and urban migration, with a regional focus on South Asia. His articles have appeared in the American Political Science Review, Comparative Political Studies, Comparative Politics, Contemporary South Asia and World Politics. His current research focuses on understanding the political consequences of rapid urbanization and internal migration in India. Before joining the Vanderbilt faculty, he was an assistant professor of political science at Yale University from 2010 to 2016. Thrower’s research focuses on how both Congress and the courts constrain the president’s use of various policy instruments such as executive orders, signing statements, rule-making and regulatory review. Her scholarship has appeared in the American Journal of Political Science, the Journal of Law, Economics and Organization and Presidential Studies Quarterly. 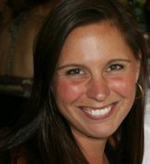 Prior to joining Vanderbilt University, she served on faculty in the Department of Political Science at the University of Pittsburgh from 2013 to 2016. Welch is a historian of the United States with a focus on slavery, race and the law in the American South. She is particularly interested in the world of free and enslaved African Americans, how they understood their place in Southern society, and how they advanced it. 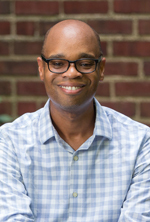 Prior to coming to Vanderbilt, Welch was an assistant professor of history at West Virginia University from 2012 to 2016 and a fellow in law and social sciences at the American Bar Foundation in Chicago from 2010 to 2012. Zimran specializes in economic history, labor economics and applied macroeconomics. 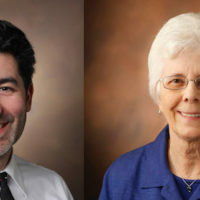 Rieger was previously the Wendland-Cook Endowed Professor of Constructive Theology at Perkins School of Theology, Southern Methodist University. His work addresses the relation of theology and public life, reflecting on the misuse of power in religion, politics and economics. Rieger has lectured throughout the United States as well as internationally, including presentations in Brazil, Argentina, Mexico, Canada, South Africa, Zimbabwe, Germany, Switzerland, Austria, Slovakia, the Netherlands, Belgium, England, Russia and China. He is an ordained elder in the United Methodist Church. Mayeux researches and writes on criminal law and procedure, constitutional law and American legal history. Before joining Vanderbilt’s law faculty in 2016, she was a Sharswood Fellow at the University of Pennsylvania Law School, before which she was the Berger-Howe Legal History Fellow at Harvard Law School. After earning her law degree at Stanford, she clerked for Judge Martha S. Berzon of the U.S. Court of Appeals for the Ninth Circuit before entering the legal academy. Lawrence’s research concerns how firms differ in types of practices they implement and the factors that contribute to a firm’s ability to change these practices over time. One of her working papers was recognized at the Strategic Management Society annual meeting and awarded Best Conference Paper. 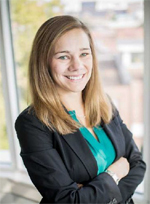 She has professional experience as an electronic trading analyst at Merrill Lynch and as a consultant to Arcelik as part of the Harvard Business School Immersion Experience Program. 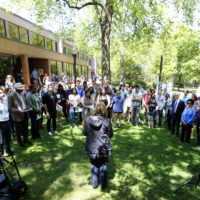 Brady comes to Peabody from Northwestern University’s School of Education and Social Policy, where he worked as a research assistant professor in learning sciences, engaging in design research to support and study math and science learning. Brady focuses on mathematical and computational modeling; on learning environments that foster representational fluency and expressivity; and on activities that promote collaborative and collective learning for classroom groups. He also has worked in industry, leading the design and development of Texas Instruments’ TI-Navigator system (2001-06), and he has been a classroom teacher at the middle school, high school and college levels. 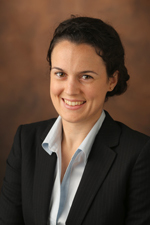 Brown-Schmidt received her Ph.D. in brain and cognitive sciences from the University of Rochester in 2005 and did her postdoctoral work at the University of Illinois prior to beginning an assistant professorship at the University of Illinois. 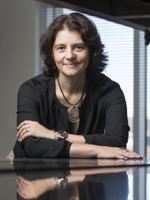 She was promoted to associate professor with tenure at the University of Illinois in 2014. 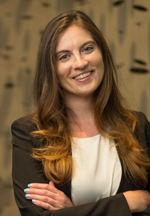 Brown-Schmidt studies psycholinguistics and conversation, looking at the impact of common ground and joint knowledge on language use and the memory processes that interact with and support language use, including in individuals with severe declarative memory impairment. She has received four federal grants (two each from NIH and NSF) since 2010 and is currently still funded by two of these grants. She has a total of 41 publications in peer-reviewed journals, 31 of which are first-authored by Brown-Schmidt or one of her students. The journals in which these publications appear are top-ranked cognition and psycholinguistics journals. She is married to new faculty member Duane Watson. 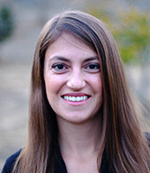 Candelaria will join the faculty as an assistant professor in the Department of Leadership, Policy and Organizations. He comes to Peabody College from Stanford University’s Center for Education Policy Analysis. His research interests include teacher labor markets, education finance policy, accountability, and causal methods in quantitative research. Before coming to Vanderbilt, Carse was a National Science Foundation Postdoctoral Fellow in Science, Technology and Society at the University of Virginia and a Mellon Postdoctoral Fellow in Environmental Anthropology at Whittier College. Carse’s teaching and research are interdisciplinary, bridging anthropology, development studies, geography, environmental history, and science and technology studies. He uses qualitative and historical methods to study environmental management, international development, transportation networks, and the social dimensions of infrastructure. The Fulbright Program, National Science Foundation, Smithsonian Institution and Wenner-Gren Foundation have supported his research. In addition to long-term field research in Panama, he has worked in Ecuador and North Carolina. 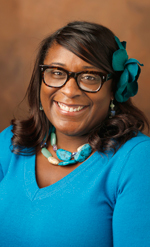 Before beginning her doctoral studies, Phillips Galloway was a Michael Pressley Memorial Fellow at the Benchmark School in Media, Pennsylvania, where she taught adolescent struggling readers in grades 6, 7 and 8 and served as a reading specialist. Currently, her research, which includes quantitative and qualitative studies, explores the relationships between academic language development and reading skill in adolescent learners, with a particular focus on English learners. Golann comes to Peabody College from Princeton University, where she will receive her doctoral degree in sociology. 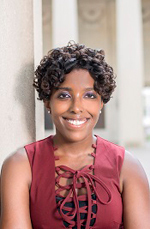 Her dissertation title is “Scripting the Moves: Class, Control, and Urban School Reform.” Her research interests include inequality, urban education, social class, ethnography and family-school connections. Joseph joins the faculty as an assistant professor in the Department of Teaching and Learning. She comes to Peabody from the University of Denver’s Morgridge College of Education. Her research interests include mathematics equity, access and achievement of African Americans; culturally responsive pedagogy; classroom discourse; the role of race, class and gender in mathematics development, specifically; and pre-service and in-service teacher professional development. 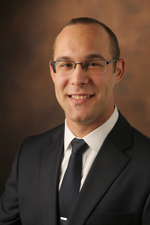 Leyva comes to Peabody College from Rutgers University’s Graduate School of Education, where he is a doctoral candidate in mathematics education. His research examines mathematics as a gendered and racialized space to broaden opportunities for meaningful, supportive learning and positive academic identity development among underrepresented populations in STEM (science, technology, engineering and mathematics) across the P-16 school pipeline. 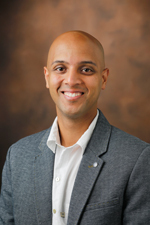 Sengupta-Irving comes to Peabody College from the University of California–Irvine’s School of Education. Her work interconnects the study of learning, peer collaboration and power in culturally and linguistically diverse classrooms. Soliz is an expert on the economics of higher education, with a focus on policies affecting community colleges, for-profit higher education, and the relationship between the two. 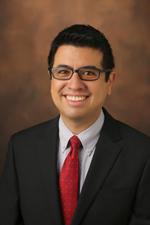 Soliz comes to Vanderbilt after serving a year as a fellow at the Brookings Institution’s Brown Center on Education Policy. She previously worked in the remedial education program at Kingsborough Community College as well as in multiple city and state-funded community-based organizations in New York. Watson works primarily on the cognitive processes that underlie interactions between speakers and listeners. Although communication is possible when prosody is absent, as in emails or in texts, communication is more challenging. Despite its importance, we know very little about the structure of prosody, the cognitive processes that are deployed in constructing it, or how it is interpreted. Understanding prosody is critical for building speech systems, designing interventions for individuals with communication disorders, and in developing pedagogical strategies for people learning English as a second language. Watson is married to fellow new faculty member Sarah Brown-Schmidt. Dubey’s research goals involve developing tools, platforms and analytical techniques required for dynamic and resilient cyber-physical platforms. He is especially interested in applying his research to smart grids. 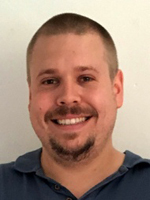 His current research focuses on developing hierarchical failure propagation models for understanding failure dynamics in smart grids and using that information for online fault diagnostics and prognostics. Dubey served as a research scientist at the Institute for Software Integrated Systems at Vanderbilt prior to his appointment. 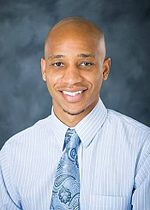 Johnson comes from the University of Texas at Arlington, where he directed the Verification and Validation for Intelligent and Trustworthy Autonomy Laboratory (VeriVITAL). Johnson worked in industry for Schlumberger Limited at various times between 2005 and 2010 helping develop new downhole embedded control systems. 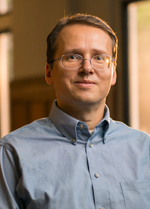 Johnson’s research focus is developing formal verification techniques and software tools for cyber-physical systems. 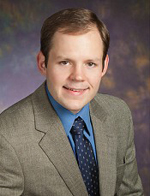 Johnson has published more than two dozen papers on these methods and their applications across domain areas such as power and energy systems, aerospace, transportation systems and robotics, two of which were recognized with best paper awards from the Institute of Electrical and Electronics Engineering and the International Federation for Information Processing, respectively. 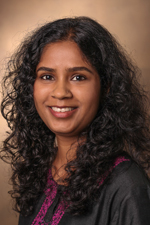 Raghavan is a professor of computer science in the Department of Electrical Engineering and Computer Science at Vanderbilt, where she is also vice provost for research. Prior to joining Vanderbilt in February 2016, she was a Distinguished Professor of Computer Science and Engineering at Pennsylvania State University and served as the associate vice president for research and director of strategic initiatives in addition to being the founding director of the Institute for CyberScience, the coordinating unit on campus for developing interdisciplinary computation and data-enabled science and engineering and the provider of high-performance computing services for the university. 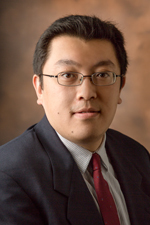 Tao moved his research lab from the Cole Eye Institute at Cleveland Clinic, where he had been assistant professor of ophthalmology, assistant professor of biomedical engineering at the Lerner Research Institute at Cleveland Clinic, and assistant professor of biomedical engineering, secondary, at Case Western Reserve University since 2013. His lab develops novel optical imaging systems for clinical diagnostics and therapeutic monitoring in ophthalmology, gastroenterology and oncology. The Dewar Lab studies the biochemistry of chromosome duplication. 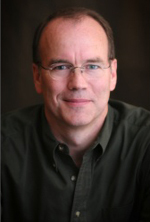 More specifically, Dewar’s research aims to define the proteins involved in chromosome duplication and investigate their roles in extraordinary detail; discover and explore novel biochemical processes that participate in, or are linked to, chromosome duplication; and uncover the different aspects of chromosome duplication on cellular homeostasis and human disease. Dewar comes from Harvard Medical School, where he undertook postdoctoral training and was named a Charles A. King Trust Fellow. Gama was recruited through the Vanderbilt Center for Stem Cell Biology and works on the function of apoptotic proteins in human embryonic stem cell self-renewal and differentiation. She has been a postdoctoral fellow in the laboratory of Mohaish Deshmukh at the University of North Carolina at Chapel Hill. She has an outstanding record, with publications in high impact journals such as Molecular Cell, Science Signaling and J. Neuroscience. 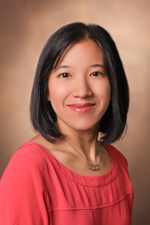 Gama is a highly collaborative, collegial scientist who will share her expertise and bring human embryonic stem cell biology at Vanderbilt to a new level of sophistication. Trained in the analysis of limbic and hypothalamic neural circuitry by Dr. Larry Swanson and in sexual differentiation of the brain by Dr. Roger Gorski, Simerly is widely recognized as an expert on hormonal control of brain development. 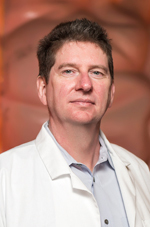 His current research is focused on understanding how forebrain circuits that control body weight and energy metabolism develop in response to endocrine and nutritional cues. He recently stepped down from his position as deputy director of The Saban Research Institute of Children’s Hospital Los Angeles, a position he served in for five years. 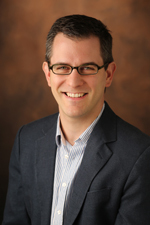 Sweatt enters Vanderbilt as the chair of the Department of Pharmacology. Sweatt is a leading figure in research on mechanisms of learning and memory and a pioneer in the role of epigenetics in neuropharmacology. Sweatt received his Ph.D. from Vanderbilt in 1986 under the mentorship of Lee Limbird, former associate vice chancellor for research.